Anyone who uses a smartphone knows the importance of carrying a backup power bank. But given the large number of options on Amazon, you might feel overwhelmed, understandably. Besides the various charging specs, ports, and even cables you have to consider, there are a ton of competing brands. It’s common to see products from Anker, Mophie, and MyCharge, but how do you know which ones deliver on their promises? 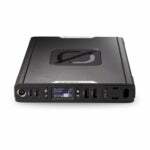 Is it worth saving a few bucks if a battery pack’s performance is lacking? As for the latter, be advised: Amazon voluntarily recalled six different models of its AmazonBasics-branded external power banks after they were found to potentially overheat. We decided to do the legwork for you, acquiring a wide range of power banks from different manufacturers, some offering unique features. We then spent weeks testing the packs (read about our testing process in detail below). 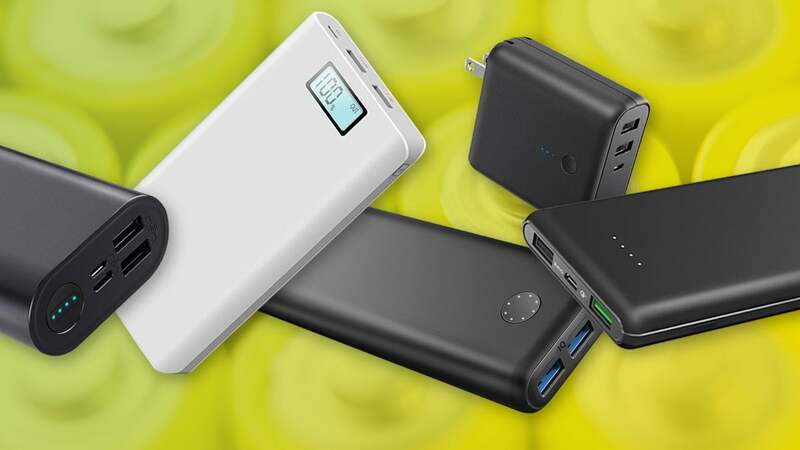 Updated 3/28/2019 to include our review of the Nimble 10-day Fast Portable Charger, a fast, efficient charger that's environmentally friendly. For all of our power bank reviews, jump to the bottom of this article. The Powerstation Plus demonstrated greater efficiency than any other battery pack we've tested. This alone helps counter some of its less appealing features. The Mophie Powerstation Plus XL is light, easy to toss into a bag, and incredibly efficient. It’s also one of the the most expensive packs in this roundup, at $99.95. But with a 93.41 percent efficiency rating, you’re getting your money’s worth with this pack. Combine that with a built-in charging cable with multiple tips, and you have a winner. We did have an issue with recharge time, but overall this pack is the one to beat. (Read our full review). 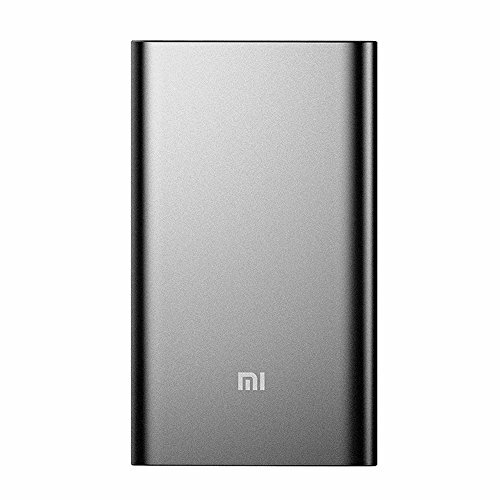 At this price point and with this performance, you simply can’t go wrong with the Mi Power Bank Pro. Not only is it small enough to tote around anywhere, it's capable of charging all the things. Fast charging, quickly charged, wide range of compatibility... what’s not to love? 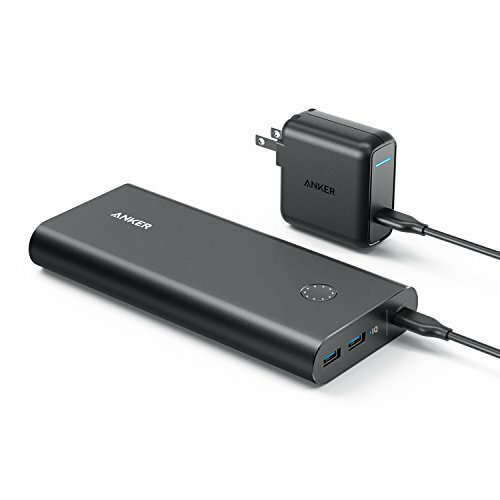 Between its capacity, recharge time, charging capabilities, USB-C, and the wide range of devices it can charge, the Anker Powercore+ 26800 PD is well worth its $110 price. For those looking for a smaller, less expensive USB-C option, you’re in luck: See our full roundup of best USB-C battery packs for some very competitive alternatives. Or if you’re a MacBook user, check out Macworld’s guide to USB-C power banks and USB-C power banks with Power Delivery 2.0 for chargers that can handle laptops as well as phones. Determining whether a power bank lives up to a company’s promise entails more than simply connecting it to a phone and charging. Testing battery packs is done over weeks, not days, and requires extra equipment in order to ensure the batteries work as expected. Upon receiving each battery pack, it was fully charged using indicator lights as a means to track charge level. Then to track efficiency, we used a DROK Micro Load Tester combined with the PortaPow USB Power Monitor. Using the DROK load tester to drain the pack of power, we were able to test against a battery’s stated maximum current, and verify that proper shutdown mechanisms were in place should something go wrong during a charging session (such as a device drawing over the maximum amps). By using the PortaPow Power Monitor, we were able to monitor volts and amps, total power throughput, and total amount of time to deplete a battery from full to empty. Next, we recharged the battery, this time using the PortaPow to track it throughout and the total amount of time to achieve a full battery, based on watt-hours. There are some hiccups using this method, however. We had to use a GoPro camera to track each battery through its charge cycle, due to the PortaPow monitor continuing to collect data after the battery was fully charged (trickle charging is normal, and unfortunately interferes with our testing). If a battery was capable of charging through USB-C, we used that instead of Micro-USB. We then connected each battery to a Pixel XL and LG G5 to ensure that the devices registered the expected fast-charging output for each respective device. All of our tests were conducted using the same wall adapter and, when possible, USB-C or Micro-USB cable. This was done to eliminate any discrepancies with wall adapters and cable throughput. Without fancy testing equipment, you never truly know if you’re getting what you paid for with a battery pack. Vendors, especially in Amazon listings, like to throw around a lot of terms and certifications. For those with a compatible device, make sure the battery pack is Quick Charge 2.0, 3.0, or PD certified. Depending on your smartphone, this can make a big difference in performance. If you own a QC 2.0 device, however, ask yourself if paying extra for a QC 3.0 capable pack is worth it. Don’t put 100 percent confidence in a company’s claims of a pack being able to charge, say, a Galaxy S8 or iPhone X six times over. Battery capacity and efficiency varies based on a number of factors. Read this Macworld report on USB-C packs to learn more about batteries and capacity. Look at the specs of the battery, and ensure that its input isn’t limited to slow charging such as 5V/1A. The faster the input, the faster your battery pack rechargers, the faster you’re ready to hit the road. Click on the links below to read the full reviews of all the products we tested for this roundup. We will continue to review and update this article as we test more battery packs. You may also be considering simply buying Amazon’s AmazonBasic charger, as a way of saving money. In this case, be advised: Amazon has voluntarily recalled several models because of potential overheating. Amazon has received 53 reports of the affected models—B00LRK8EVO, B00LRK8HJ8, B00LRK8I7O, B00LRK8IV0, B00LRK8JDC or B00ZQ4JQAA—overheating, and in one case causing chemical burns. You can find more information at the Consumer Products Safety Commission, as well as Amazon’s own recall site. A great battery pack for travelers, the Presto PBT10 is lightweight, capable, and efficient—at a price you won't think twice about. myCharge Unplugged10K offers fast, efficient charging, regardless if you use cables or not. Anker proves yet again that it is a go-to source of reliable battery packs with this high-capacity model. Take your standard wall adapter, with a single USB port for charging your smartphone, add two additional ports, a power button, indicator lights, and an internal battery, and you’ll wind up with Anker’s PowerCore Fusion 5000. The Nimble 10-day Portable Charger is a complete package. For $99, you get a powerful battery pack and a QC 3.0 wall adapter—not a terrible deal at all. The Outxe Savage is built to withstand a lot of abuse, and it comes with solar charging, but it's heavy, and the solar feature is necessarily dog-slow. Bright flashlight with option SOS feature. Quick recharge if you use two ports. Can top off your battery power with integrated solar panel. Solar charging requires a lot of time. At 18.5 ounces, it's heavy. The RAVPower Portable Wireless Charger (10,000mAh) is a portable battery back that makes it okay for you to forget your charging cable at home. The GGTR Outlet Evaders pack is a bit pricey for its capacity, but it makes up for it with a sweet gaming theme and stickers. Despite its low price, the Solo 6 Plus features a handy LCD display that reports charging status of the pack itself and connected devices. The Longaurd 10 is a portable pack that does what it’s supposed to when it comes to charging your devices, albeit a little slower than advertised. Still, it’s a solid product worth your consideration. If attractive product design matters to you, Moshi brings it with the Porto Q 5K battery pack. Just don't expect the fastest charging speeds. This is the charger for folks who are super hard on their gear. In other respects, it's pretty average.